Check out this amazing tiny house vacation rental near Jackson Hole, Wyoming. It’s ideal for couples with a queen size bed, bathroom, kitchen, and living area. Large windows let in lots of light. Outside there’s a firepit, a pair of Adirondack chairs, and a barbecue grill. It’s located in Teton County near Jackson Hole and not too far from Yellowstone. So if you’re headed up that way and want to experience tiny living, this might be a good one to check out. You can learn more about it at Glamping Hub. Photo credit to Glamping Hub. 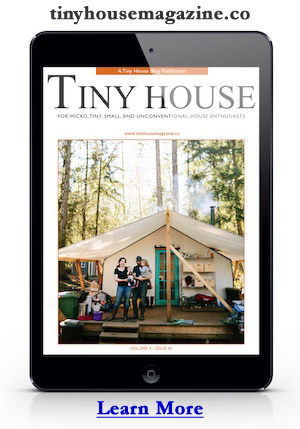 This entry was posted in Tiny Living and tagged Glamping Hub, Jackson Hole, tiny house, vacation rental, Wyoming. It’s just across from the kitchen. You can see it’s walls in the very first photo. What is the nightly/weekly charge? Is there a minimum/max stay length?